Diabetes, also called diabetes mellitus, has become a very common heath problem. Most of our Indian population is suffering from diabetes today. While there is no cure for diabetes but with controlled blood sugar levels, one can live a totally normal life. There are various natural remedies for diabetes that will help control your blood sugar level.So check out these very simple home remedies. 1. Soak 1 tsp of fenugreek seeds (Methi dana) in 1 glass of water for 6-7 hours or overnight. 2. Drink this water empty stomach early morning and chew the seeds along. The seeds can also be used to make vegetables or add in the flour to make a dough. 3. Drink fenugreek water for at least 15-20 days regularly to effective results. 1. In a glass of warm milk, add 1/2 tsp of turmeric powder. 2. 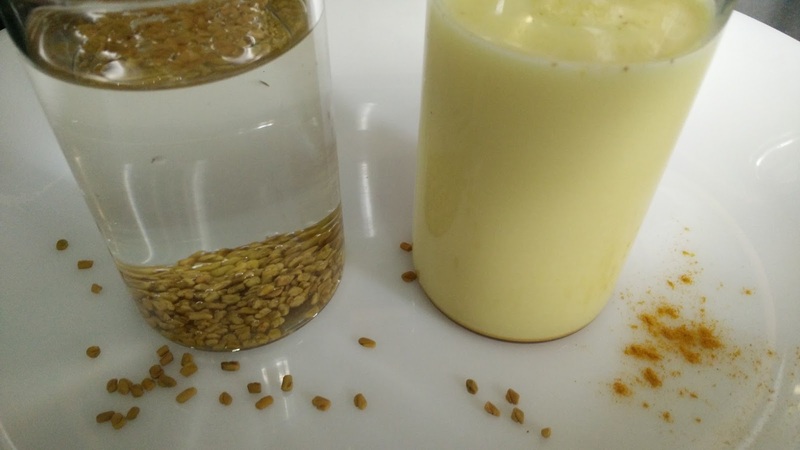 Drink this turmeric milk either in the morning or before going to bed at night.